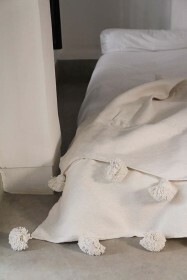 We’re loving pop pom pieces in the home! 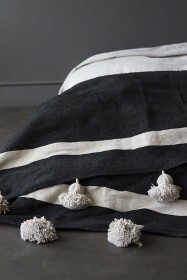 Pom Pom throws, cushions, lampshades, rugs …. 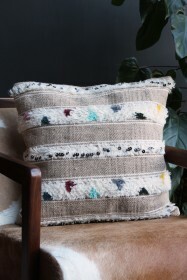 you name it and we love it! 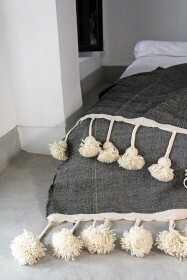 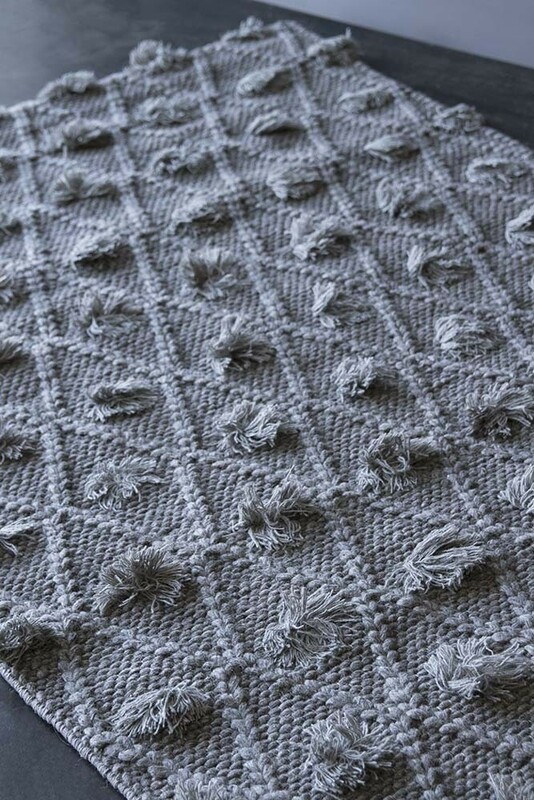 One such delightful pom pom home accessory that has landed at RSG is the Grey Pom Pom Rug. 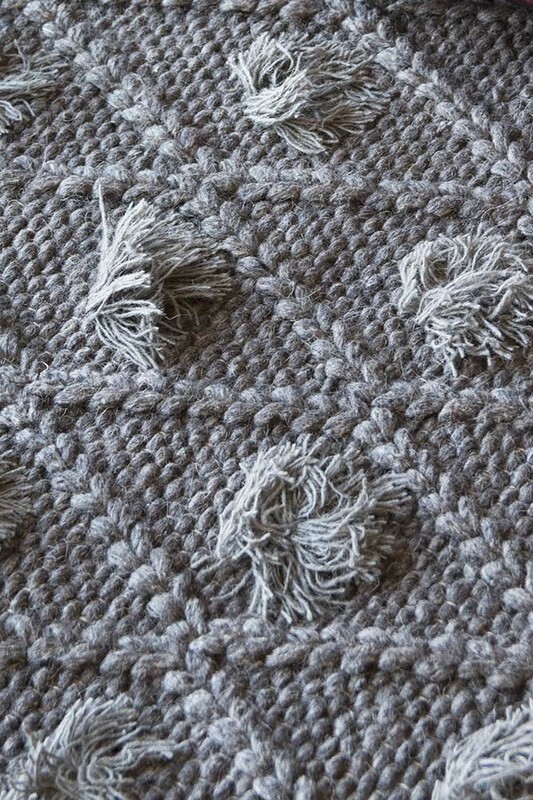 Unusual rugs that standout from the normal offerings is hard to find, but the Grey Pom Pom Rug has answered our pom pom prayers! Woven from traditional looms in a natural cotton and wool blend the striking rug features texture and detailing finished off with knotted pom poms. 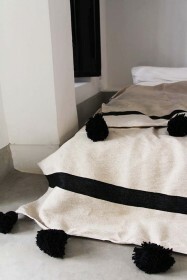 A relaxed rug the boho style will suit a variety of décor choices, but we think that it is a particularly good option for those of you who would like to add a laid-back vibe into your bedroom, living room, hallway, or kitchen.